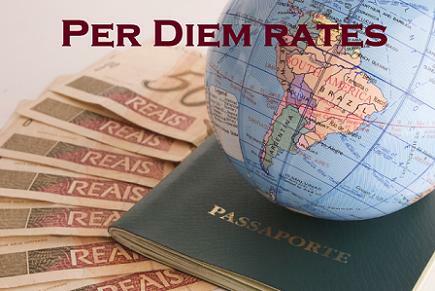 The Federal Government sets Per Diem Rates to be used for U of U Travel. Please note: These links are managed by the federal government and may change without notification to the University of Utah. Please notify the Travel Office (1-7142) if these links are no longer in service.